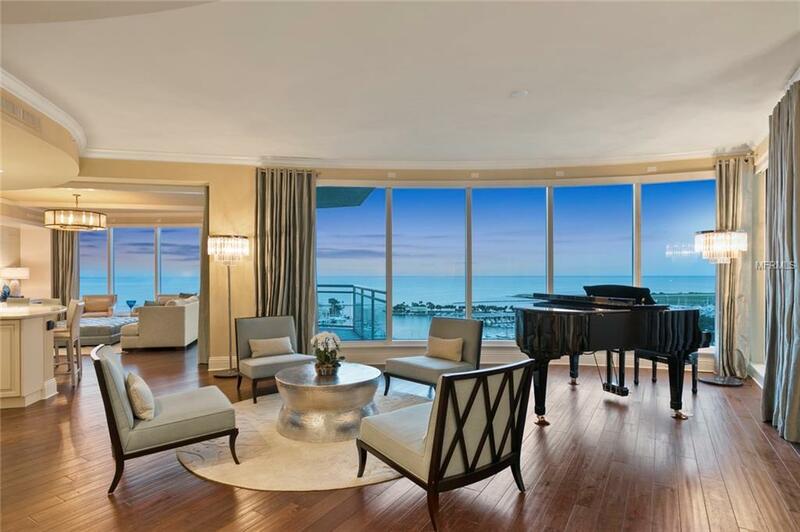 Enter into a world of elegance and luxury as you step off the high speed elevator into the private foyer of this coastal-styled condo featuring lush creams and water blues. 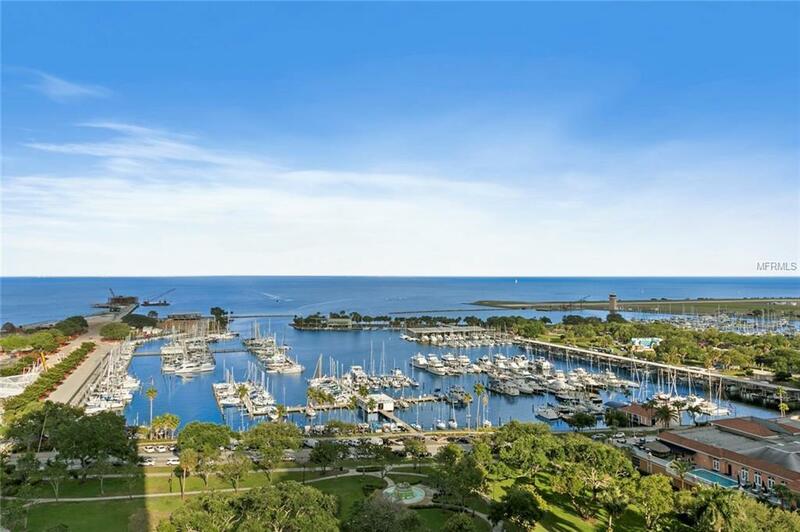 Ovation, known as the finest residential tower in St Petersburg is home to only 43 owners! 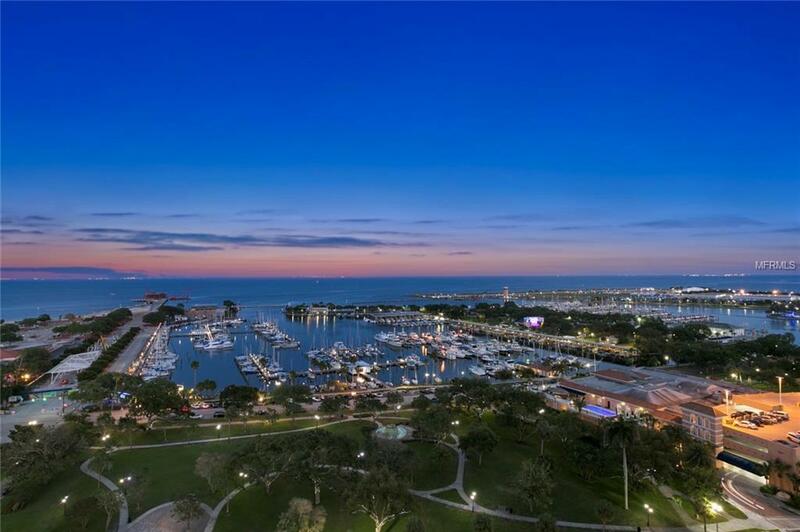 Facing southeast, enjoy sunrise over Tampa Bay, a view of the high speed Grand Prix races and the daily flights of the private planes at the Albert Witted Airport. The kitchen is a beautiful creamy color with an incredible larger marble island that fits with the current styles of today. All the appliances are high-end stainless steel; Wolf, Sub-zero and Kitchen-Aid. The dark wood floor by Bast Flooring lends to the "Key West style and compliments the light and airy family room. The master suite is large enough for an extra sitting space and the ensuite master bath includes two spacious walk-in closets. This property provides 24-hour concierge service that will exceed your expectations. A club room with catering kitchen, private conference room for board meetings, fitness center with sauna and new peloton exercise bike. Make your dream come true in the grandeur of Ovation. Call to schedule a visit today. Pet Restrictions See Condo Rules For Details. Total Combined Weight 80 Lbs.